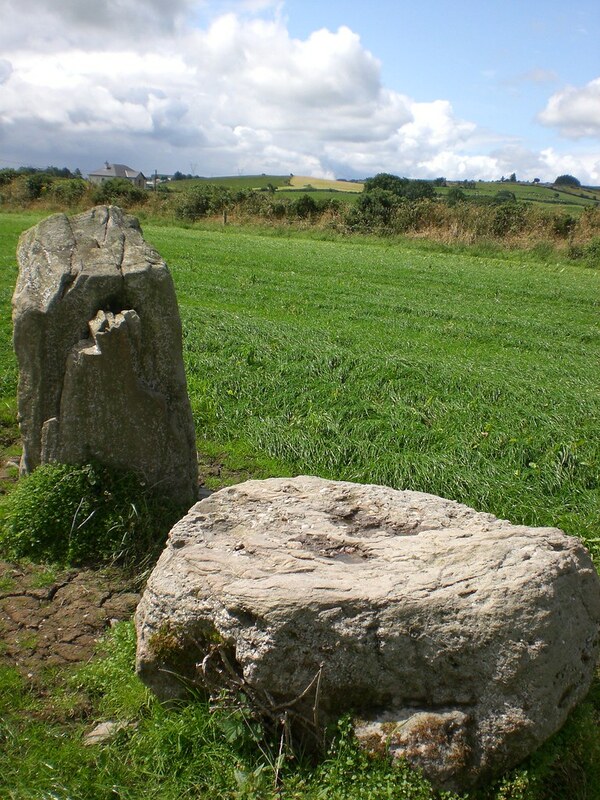 The Standing Stone: Knockmore, Stone Pair, Co. Tipperary. 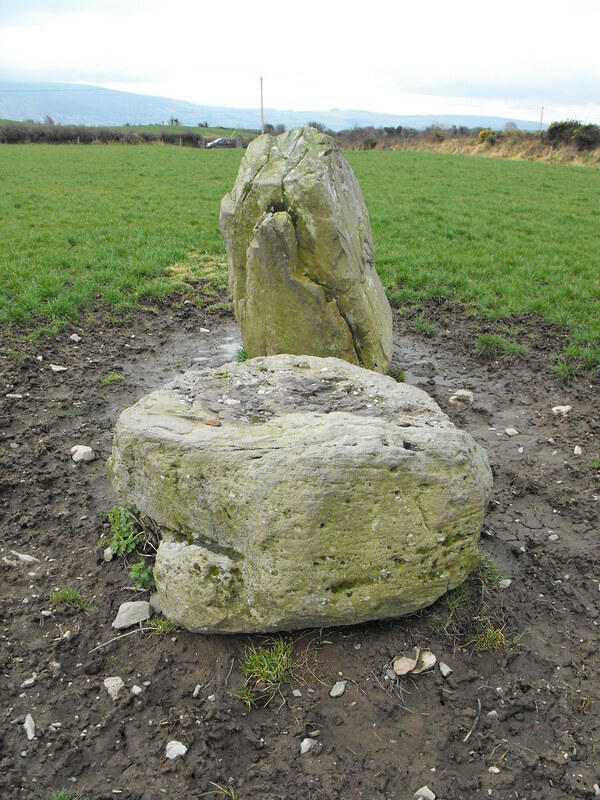 Knockmore, Stone Pair, Co. Tipperary. Location – This one is a tricky one to find and to give directions would be possible if it wasn’t for the new motorway which had really thrown everything out and I find it hard to get there because the maps are no longer current. Bring your map anyway and a GPS will really help you here. This site is not marked on the OS map. Description and History – This stone pair is quite a mystery. 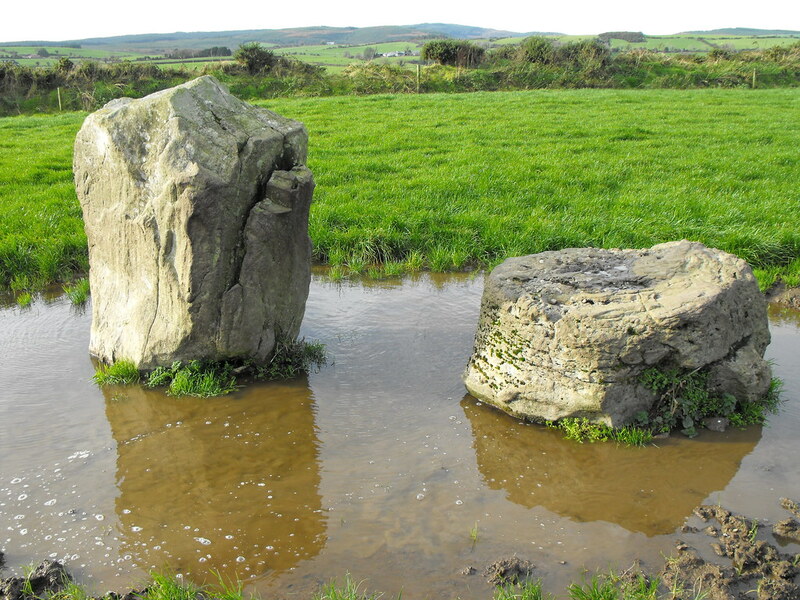 Quite some time ago my brother, his partner and I were looking for Carrigeen stone row and stumbled across this stone pair. I couldn’t locate it in the inventory but didn’t really think much of it. A few months later I was contacted by the land owner who was curious about these stones, particularly as he could find no mention of them in books or online. They are also missing from maps and the sites and monuments record. They just seem to have been completely over-looked by everyone. This is a shame because this is a nice stone pair. One stone still stands while the other is recumbent. Cattle use these stones as scratchers as the ground is very worn around the stones and in the winter they get very flooded. 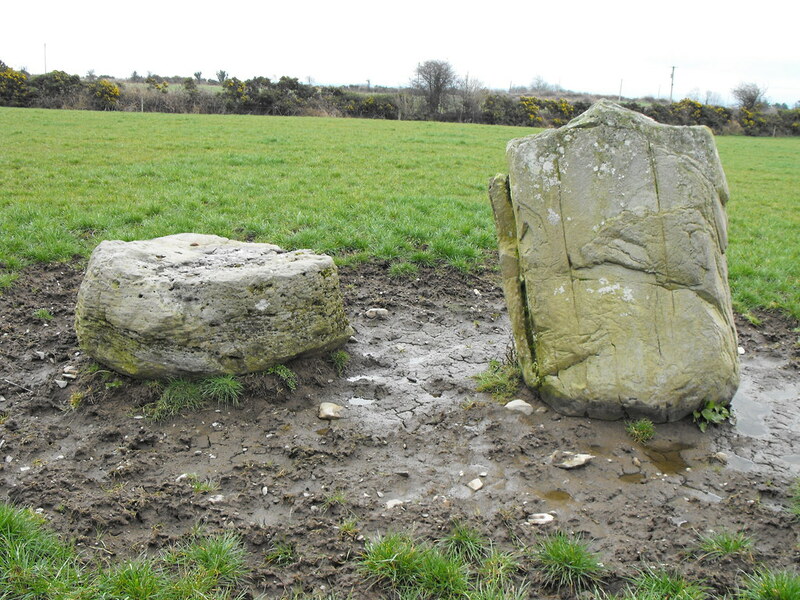 The stone that still stands is about 1.5m high and the other stone would be about the same height if it was ever standing. Carrigeen can be seen on the horizon in the distance. I will have to back to see if there is any alignment for this site. Difficulty – They are in the middle of a cattle field and can be seen from the road. Drive West along the road for about 1 mile until you go around a sharp bend in the road and come to farm house. Ask permission there. 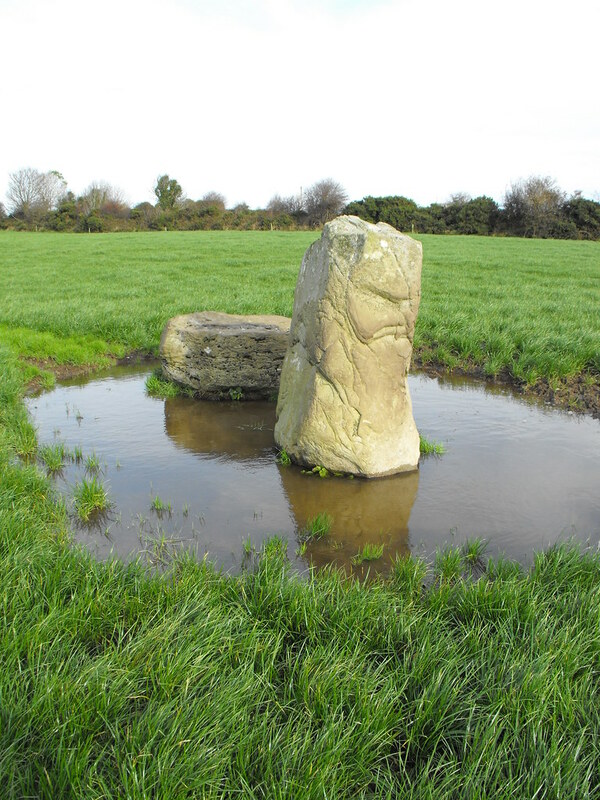 For more standing stone, click here. Pretty flooded during the winter.